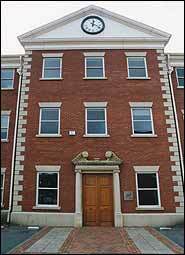 This is the HQ of the Information Commissioner, better known by its formar name of the Data Protection Registrar. 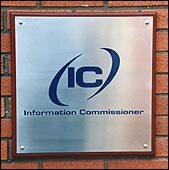 It's located just off Water Lane and changed its name in the year 2000 when its role expanded to include freedom of information issues as well as privacy of information issues. The Commissioner is appointed by the government and is responsible to Parliament. Close-up of the sign to the right of the door.